Conan’s next big Without Borders episode airs tonight, but before he goes to Mexico to collect donations for Trump’s grande wall, Conan O’Brien’s going to field some questions on Reddit this afternoon. 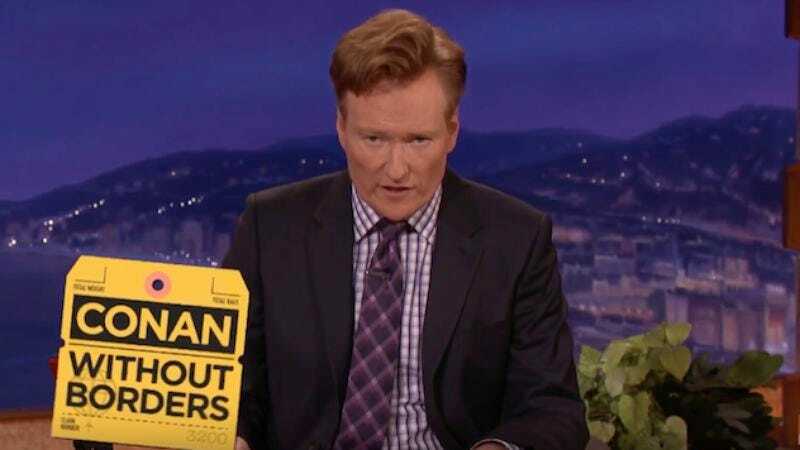 The Conan host will open himself up to your queries, flattery, and whatever other civil discourse usually occurs in that forum starting at 2 p.m. ET. We’re fairly certain there won’t be any White House officials trolling O’Brien about his ersatz diplomatic mission, especially not once they watch the episode’s cold open, which does not in any way mock any pre-presidential statements or post-election mandates. Conan Without Borders: Mexico premieres tonight at 10 p.m. ET.